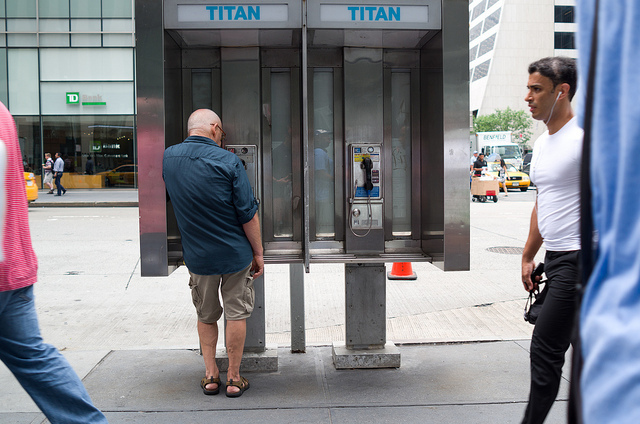 BuzzFeed News today reports that phone booths in NYC are tracking people and can send them ads. Let’s explain this rapidly spreading new technology we often see described inaccurately. First, let’s step back and understand how your phone or apps on your phone that you grant permission to access your location are able to determine where you are. In general, there are a number of useful reasons for your phone to know its location. Location can be useful to find a lost phone, for example, or so that apps can provide location-related services like map services, finding friends nearby or location specific offers. 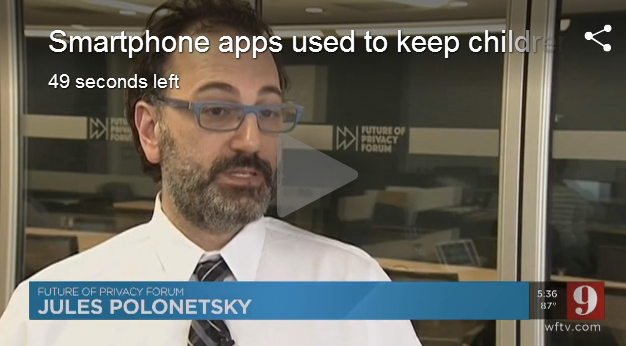 Apps can access your phone’s location services – with your permission. iPhone apps must use Apple’s location services, while Google Play apps generally use Google’s location services. These location services leverage GPS signals and the location of nearby cell towers to estimate where you are. In recent years, these location services also began noting the MAC addresses of nearby Wi-Fi networks, adding additional precision. These can be accurate to within 10-12 feet, depending on your proximity to Wi-Fi routers. What’s new is the advent of low-powered beacon technologies, where stores, museums, airports or other spaces set up a device that broadcasts a unique code. If your phone has Bluetooth turned on and you download an app that you allow permission to use Bluetooth and location, the app can detect that beacon. If the app has a relationship with the beacon provider, the app can determine more precisely where you are. This enables features like allowing an app to display information on your phone about a certain museum painting when you are front of that painting, or a retailer app or restaurant app or any other app that you have enabled can send precisely targeted offers to your exact location – in front of a display at a store, or in this case, near a specific phone booth. This is possible ONLY if you have given that specific app permission to use notification functions. Your phone also allows you to deny an app access to contact you via notifications. Beacons themselves don’t collect any data. They do not send marketing messages to your phone. They broadcast location marks that your phone and apps using your phone can take advantage of to understand more precisely where you are. Unlike mobile location analytics technologies, beacons do not detect or collect MAC addresses. For more info about mobile location analytics, go to smart-places.org. In short, beacons are not tracking your phone. In fact, your phone is tracking them. We don’t suggest that beacons or other location technologies don’t raise privacy issues. Apps using location must do an effective job at explaining why and what they collect. Apps “listening” for Bluetooth beacons require that you grant them permission “always.” In iOS 8, users who allow apps to always have location will be reminded by the operating system and invited to turn off location or allow the app to continue to collect location. Apps collecting location, of any sort, should make sure that they have policies to delete the history of a user’s location. There is real work to be done in this area, to ensure that location services are used in ways that benefit users, and properly manage information. A good way to start is by understanding the technology.